Once billed as "one of the most modern theaters in the State of Michigan," the Vogue Theatre has been renovated to become the beautiful landmark that so many Manistee residents remember. In February 2011, filmmaker Michael Moore came to Manistee with his vision for the Vogue... that its marquee lights would illuminate the downtown region and bring hundreds of people to shop, eat, and enjoy Manistee. the larger one, the Pure Michigan Theater. A generous $50,000 donation for the Vogue's restoration was received, as well as $10,000 from Michael Moore and a $500,000 grant from the Michigan Economic Development Corporation. A full opening was held December 21, 2013 with films shown during the weekend preceding Christmas. In May 2014, final construction to the permanent screen in the main auditorium was begun. 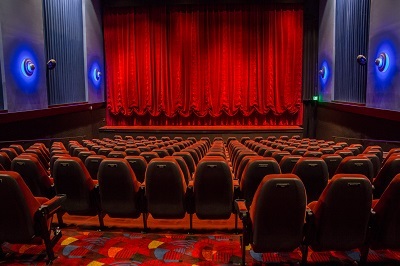 This included: custom-fitting of audio equipment, framing and installation of the screen itself, installation of a micro-perf screen in the Oleson Family Theater, installation of a heavy weight suede waterfall curtain in the Pure Michigan Theater and motorized masking curtains in both auditoriums. It was 1938, and the effects of the Great Depression had hit Manistee hard. Film, then a new art form, was emerging as a popular distraction for Americans. After five years of planning, the Vogue Theatre opened to the public on January 12, 1938. 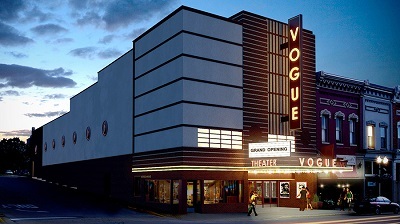 For the next 47 years, the Vogue entertained audiences with Hollywood films, but due to rising costs and declining community interest, the lights dimmed and the Vogue was closed. It was sold and reopened in 1985 as a two-screen theater. For various reasons, the Vogue Theatre closed two more times in 1995 and 2005... and seemed to close for good in 2008. The Manistee Downtown Development Authority then purchased the Vogue in 2010 for $65,000... and because of Michael Moore's enthusiasm and vision, the restoration project began. Actor John C. Reilly, who has a home in Ludington, performed with his band in June 2013 at the Vogue to begin the final fundraising stage. The Vogue Theatre restoration is the largest volunteer-led initiative in the history of Manistee. Over 650 people and organizations have financially made a donation, with more than $2 million raised. The Vogue Theatre thanks all of its donors as well as the Manistee County Community Foundation for assisting in the donation process. 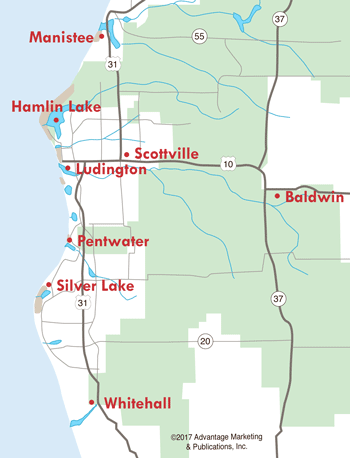 The Manistee County Community Foundation, a 501c(3) nonprofit organization, is serving as the fiduciary for this campaign and is accepting donations in support of the Vogue’s ongoing operations, including keeping prices low and supporting the many free and low-cost community programs and events that they put on regularly. Click here for more donation information. You can also show support by becoming a member of The Vogue Theatre! Not only will you be making a contribution to assist with the Vogue’s ongoing operations, but as a member you will receive discounts on movie tickets! Click here to download the membership brochure. The Vogue Theatre is a unique venue to volunteer some of your time and work in a fun atmosphere with great people. For volunteer information, visit their website.